After leaving Gamadji Sare behind, we made our way towards Podor with a few stops en route. 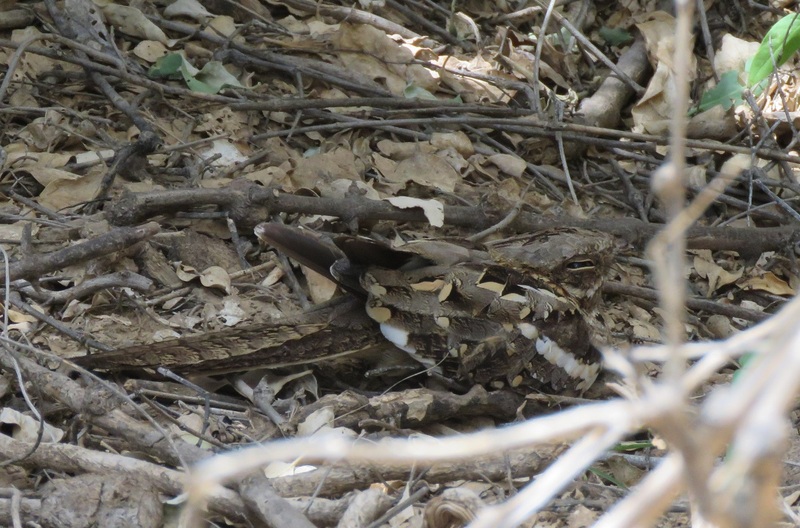 A nightjar sheltering from the heat (and predators) was flushed by Vieux near forêt de Golette, just minutes after he casually mentioned that those bushes look good for nightjars! We were hoping for one of the rarer species of course, but it turned out to be a Long–tailed Nightjar after all, apparently a (young?) bird in very fresh plumage. Also several Knob-billed Ducks here, a Short-toed Eagle, Spotted Thick-knee, Vieillot’s Barbet and so on. At the scenic Podor quay we had a Marsh Harrier, at least two House Martins and several Red-chested Swallows, some of which were on the opposite side of the river, meaning these were in Mauritanian territory: not insignificant since apparently there aren’t any solid records from our northern neighbour, despite the fact that the species surely must breed on the Mauritanian side of the Senegal delta. Just like in January, we also saw the species further downstream at Dagana. 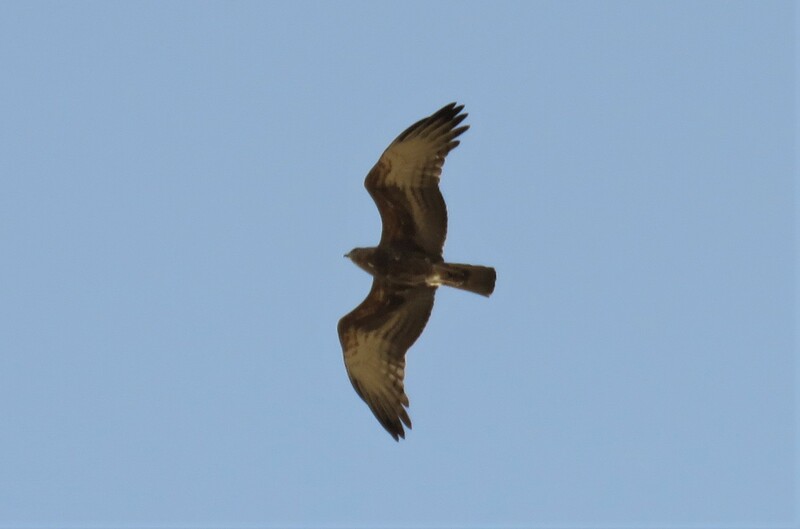 A Montagu’s Harrier and a Black Kite were seen just south of town. 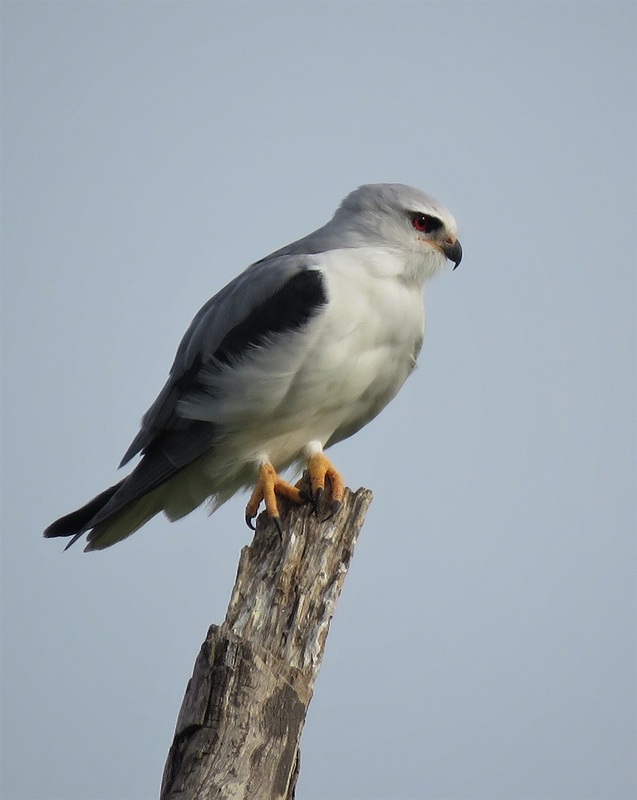 Continuing our westbound journey, we cris-crossed the rice paddies with a few quick stops en route, including an emergency stop near Fanaye Dieri for a raptor which initially puzzled us both, and which turned out to be a young Beaudouin’s Snake-Eagle. This seems to be a (very) scarce wet season visitor to northern Senegal and to southern Mauritania where breeding has been confirmed. 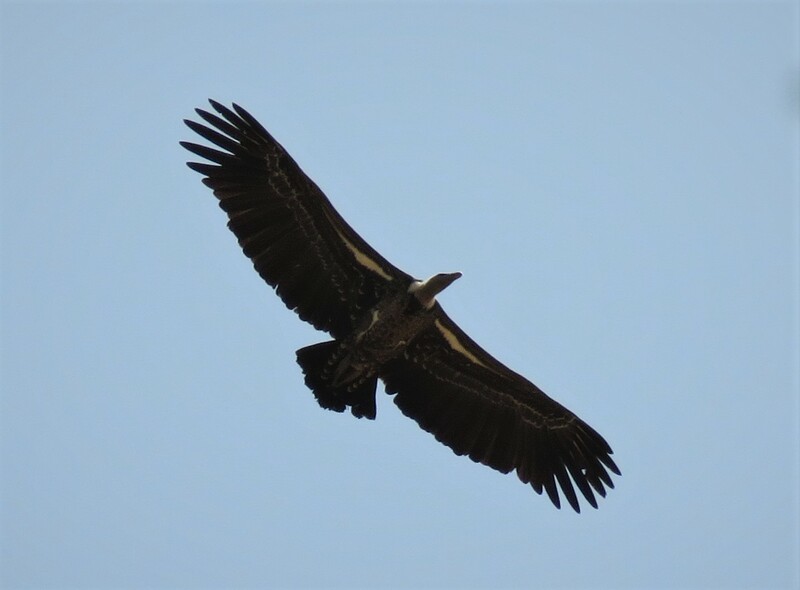 At Dagana, the main feature was the constant stream of herons and Long-tailed Cormorants en route to their nigh roost (or in case of the Black-crowned Night-Herons, en route to their nightly feeding grounds). The roost is located in the swamps just east of Dagana, and hosts what must be several thousands of birds. 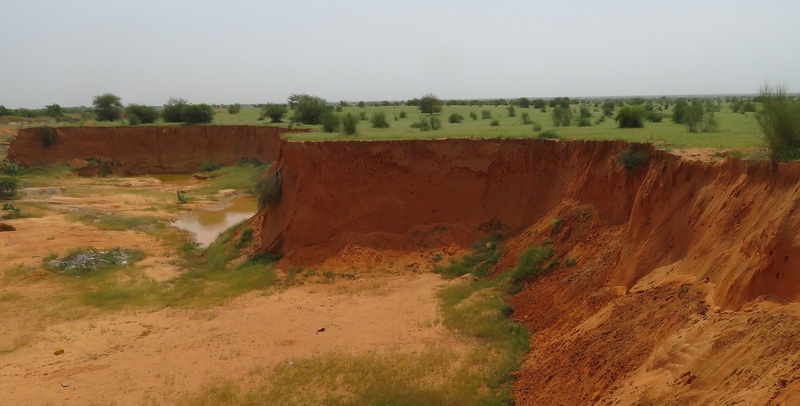 Three Glossy Ibises flew into Mauritania, while Greater Swamp Warblers were singing on the northern river bank. An evening walk produced Nightingale, Barn Owl, Long-tailed Nightjar and more. October 6 happened to be the first “October Big Day” organised by Cornell – more on this eBird page. Pre-breakfast birding at Bokhol “forest”, then from Dagana to Richard Toll with a couple of stops en route and a visit to the sand quarry where I wanted to check on the Blue-cheeked Bee-eater colony: with some 500 nest holes, probably at least half being active nests, this is an impressive sight. Bonus species here were Northern Anteater Chat, Cricket Warbler, and especially two Standard-winged Nightjars flushed from “broom bushes” which were a real surprise here (but once again both were female type… so alas no standards!). The picture of the quarry shows the habitat of the latter two species in the background. 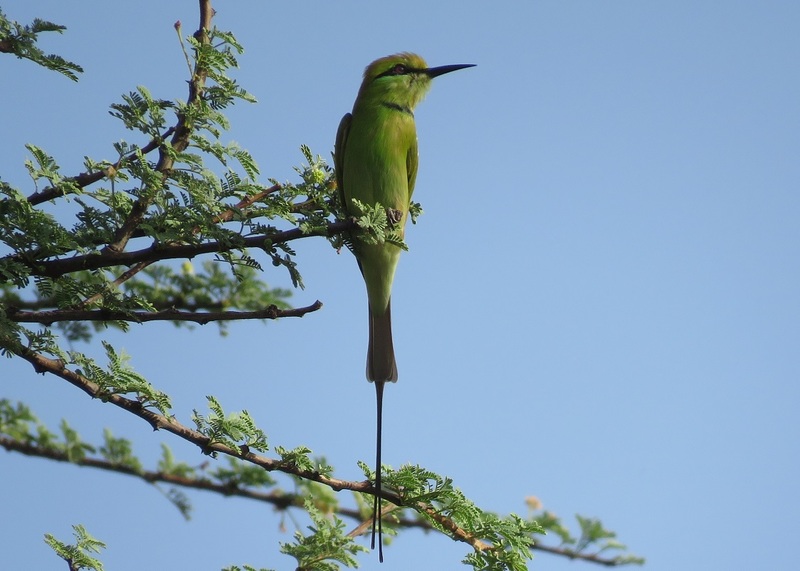 Along the track into the sugar cane plantations, more White-throated Bee-eaters, both bishops, Black-rumped Waxbills, and a fine Pin-tailed Whydah. But we’re getting ahead of ourselves… at Bokhol, the fields were rather quiet and unlike in Gamadji Sare the previous morning we barely had any northern songbirds. 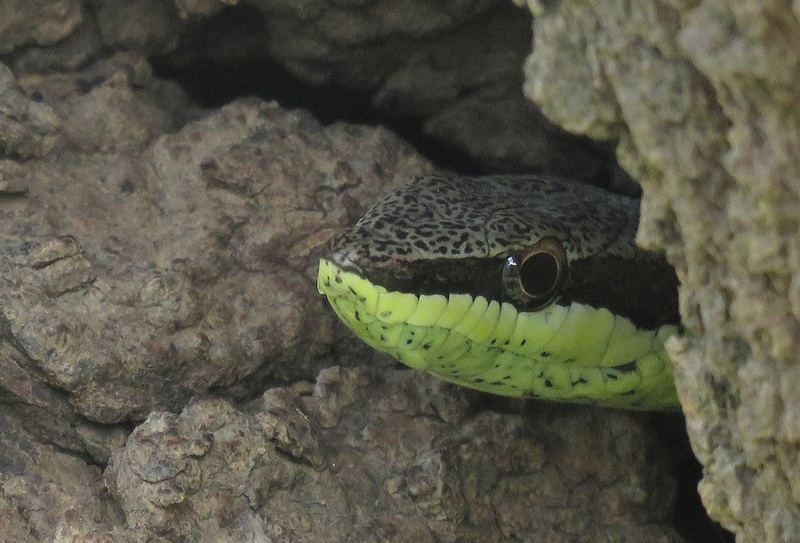 The forest held goodies such as Senegal Batis, more Orphean Warblers, Fork-tailed Drongo, Brubru, a Red-necked Falcon with prey, and a much less expected Klaas’s Cuckoo singing in the distance (appears to be a rare breeder during the wet season in northern Senegal). Full species list here. Another Whinchat and a few other migrants were seen just west of Dagana. Negotiating our way out of Richard Toll, we continued on to Ross Bethio, more specifically the ponds along the track to the Djoudj NP. This is where Vieux found a Lesser Jacana back in July: only the fifth record for the country (and second in the north), this was an exciting find of course, further highlighting the potential of this site which has received little attention from birders let alone from the National Park authorities – though the good news is that from this year on, the site is included in the monthly waterbird counts conducted by the Djoudj park staff. Full story on the jacana record on Ornithondar, merci Frédéric. During our visit there were loads of herons and whistling ducks, pelicans, several Black Storks and Yellow-billed Storks, more Eurasian Coots, etc. More unusually, we spotted several Marbled Ducks, counting at least 11 of these cool ducks. This appears to be an early date, and a rare record outside the nearby Djoudj NP: almost all observations tend to be from the same area in the national park, at the Grand Lac, typically between December and February. We’d already seen Little Grebes, but now Vieux also spotted a Black-necked Grebe, an adult coming out of its breeding plumage. 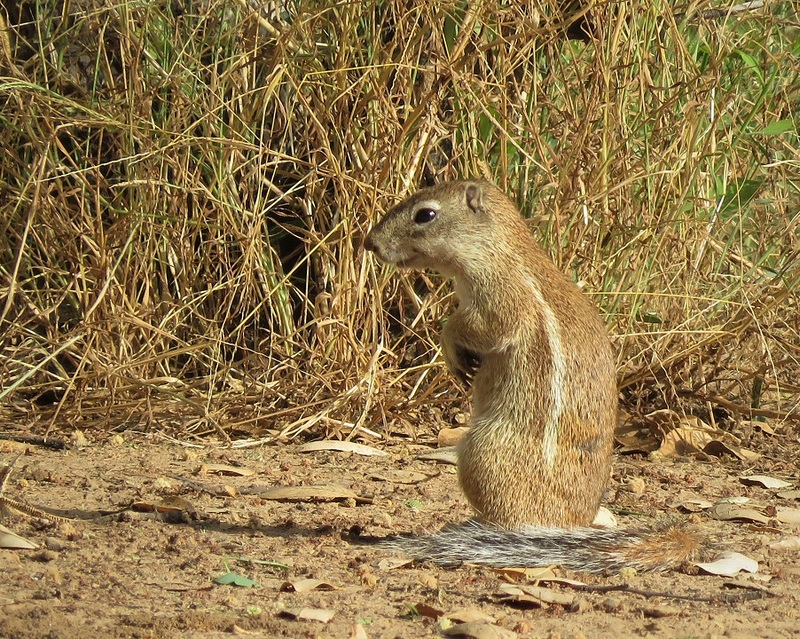 Again an early date of an uncommon species in Senegal, typically seen in mid-winter in the north. All in all some 78 species were seen here, see eBird checklist. The long drive through the delta along the Djoudj track was pretty uneventful, and we only stopped briefly at Saint-Louis to watch a group of Black-tailed Godwits which unfortunately were feeding knee-deep in the lagoon, so no colour-rings could be seen. The Saint-Louis sewage works are always a hit, but too often they are ignored by visiting and local birders alike: I was thus keen to show Vieux this site even if we had just about half an hour left. As always, plenty of birds here, best of all being a Great Reed Warbler. We said our goodbyes here, and I continued onto Zebrabar where I’d spend the night, picking up several wader species new for the trip list as well as Brown Babbler on the camp grounds. Up before dawn, I first went to the floodplain south of Guembeul: Savile’s Bustards singing in all directions, a flock of spoonbills of both species frantically feeding, and a good mix of warblers (Melodious, Subalpine, Bonelli’s, Common Whitethroat). 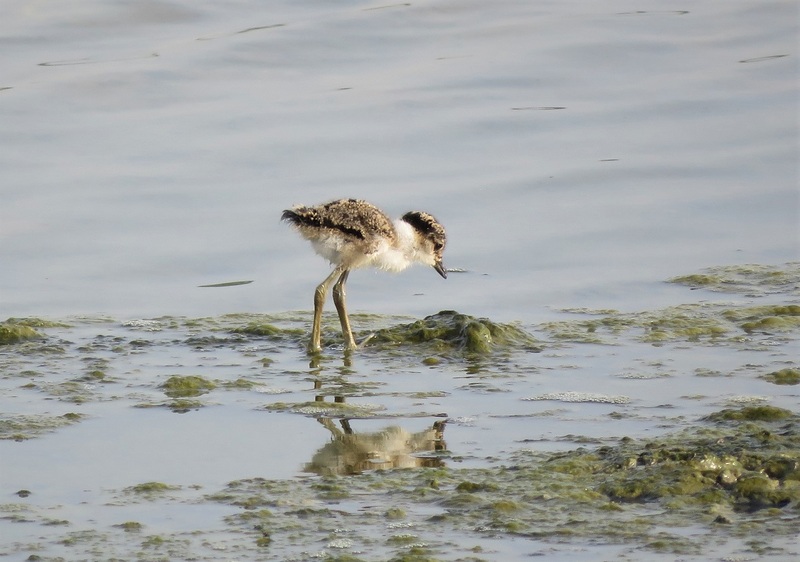 The lagoons held Avocets, Black-tailed Godwits (including a ringed bird from northern Germany), lots of Little Stints, Dunlins, Curlew Sandpipers, and so on. A Pallid Swift was seen near Guembeul, and the lagoons near the STEP held a handful of Shovelers and White-faced Whistling-Ducks, including a family with some 11 ducklings, with Little Grebes also showing signs of local breeding. Excellent trip report, really shows the potential for Birding tours . I was lucky to be on a tour to Senegal in 2015 and was blown away with the variety of avian life in this underwatched country. 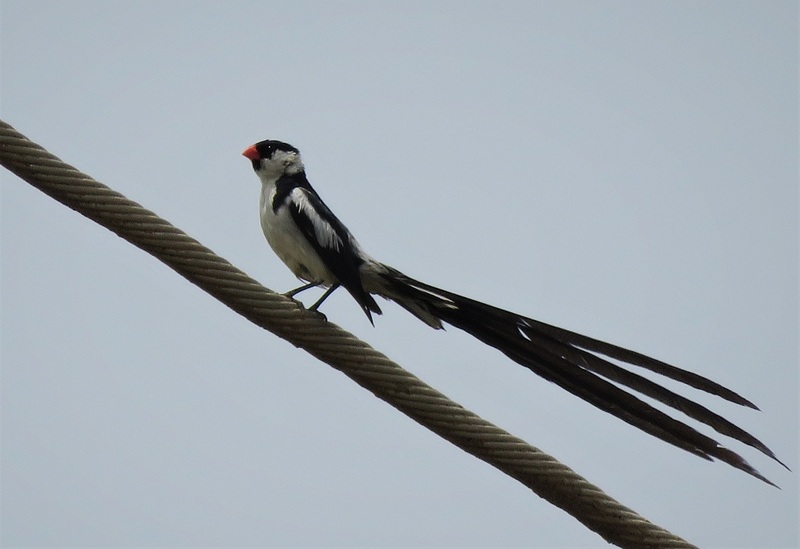 Many thanks David – you’re absolutely right that Senegal has a much undervalued diversity and is a great destination for all kinds of birders! Sympa, la photo de Vieux Ngom avec l’euplecte !